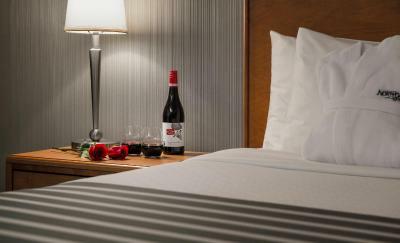 Lock in a great price for Norwood Hotel – rated 8.7 by recent guests! Staff were friendly, rooms were clean, bed was comfortable. 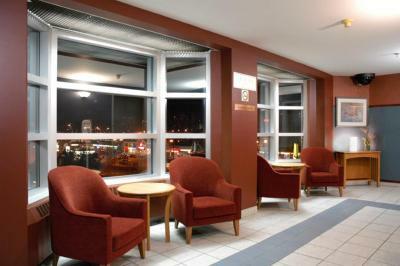 Close proximity to hospital, and downtown. 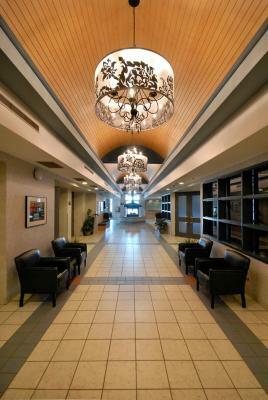 Everything has been renovated, staff is amazing! Wonderful stay! Parking spots to narrow. Restaurant should have more hours. 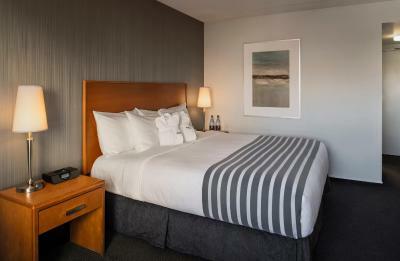 Staff, very friendly and accommodating.Room clean, comfortable and nicely decorated. Restaurant is great and the food is delicious! The restaurant staff is very friendly and efficient. Try the French toast! 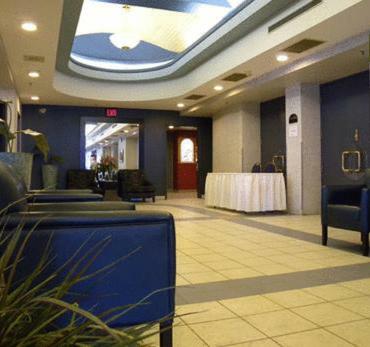 The location is perfect for medical appointments.This hotel is a hidden gem! It was a nice stay. Did not like the price we had to pay because we used the internet. There was no reduction for seniors or caa. It is a beautiful hotel and great staff. Breakfast NA as the restaurant was closed for renovations. Location was perfect as we visited the Festival du Voyageur and also my Mom in the St. Boniface Hospital. 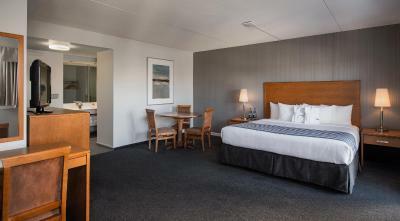 Norwood Hotel This rating is a reflection of how the property compares to the industry standard when it comes to price, facilities and services available. It's based on a self-evaluation by the property. Use this rating to help choose your stay! 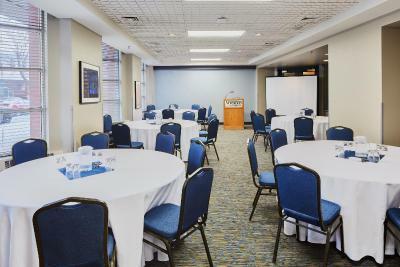 Less than a 5-minute drive from The Forks in Winnipeg, Norwood Hotel offers an on-site restaurant and modern rooms with cable TV. Can-West Stadium is just 1.9 mi away. 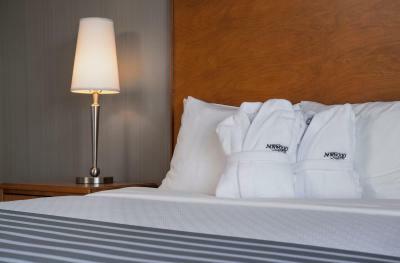 The rooms of Hotel Norwood enjoy a light and airy interior, decorated with wooden furnishings. 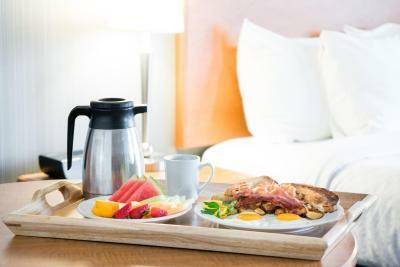 All rooms feature free Wi-Fi, tea and coffee making facilities, and a free national newspaper. Guests can enjoy local and international cuisine for breakfast, lunch and dinner at the Jolly Friar Café. The Wood Tavern & Grill serves daily pub specials including pizza, premium steaks and award-winning BBQ ribs. 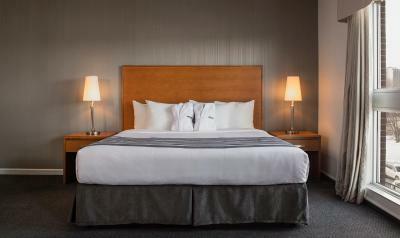 Norwood Hotel also offers a convenient 24-hour reception, a laundry and dry cleaning service, and an on-site ATM. Paid parking is available for all guests. Hotel Norwood is just 1.6 mi from the Canadian Museum of Human Rights. 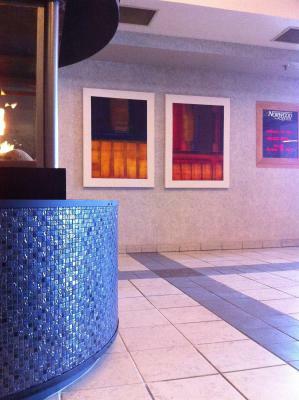 This property also has one of the top-rated locations in Winnipeg! Guests are happier about it compared to other properties in the area. This property is also rated for the best value in Winnipeg! Guests are getting more for their money when compared to other properties in this city. 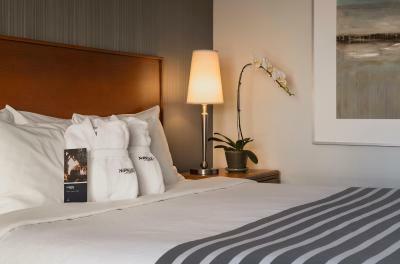 When would you like to stay at Norwood Hotel? 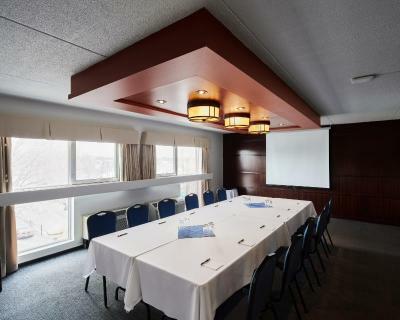 Free WiFi, mini fridges, and a 32" flat screen TV with cable are featured in this room. Keurig coffee-making facilities are included. A desk and windows that open are provided. 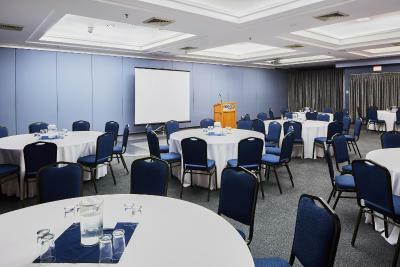 Free WiFi, safe, mini fridges, and a 32" flat screen TV with cable are featured in this room. Keurig coffee-making facilities are included. A desk and windows that open are provided. 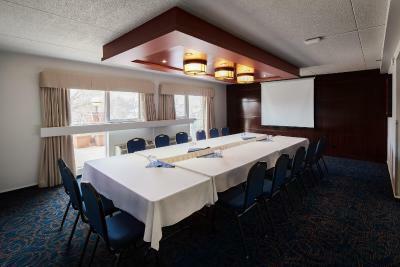 Free WiFi and a 32" flat screen TV with cable are featured in this room. Keurig coffee-making facilities are included. A desk and windows that open are provided. 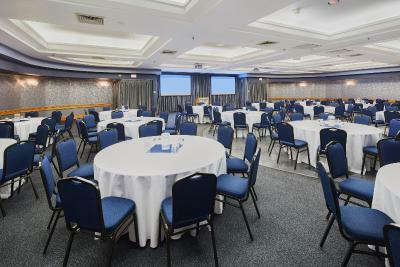 The Norwood Hotel is newly renovated (fall 2015). 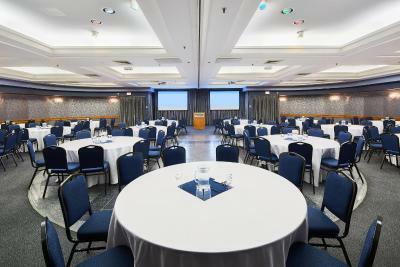 Beautifully situated close to downtown and just minutes from the Forks, the Norwood Hotel provides a convenient central location. 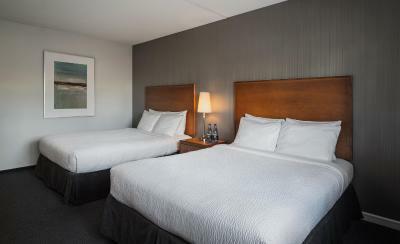 52 stylish guestrooms and suites with plenty of room to relax after a busy day of meetings or just exploring the Winnipeg area. 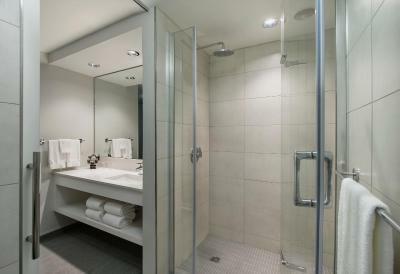 Travelers will appreciate a wide range of amenities including free guest parking, cable television, WIFI and a business center. House Rules Norwood Hotel takes special requests – add in the next step! Norwood Hotel accepts these cards and reserves the right to temporarily hold an amount prior to arrival. Separate light switch in backroom so as not to wake partner when using the facilities at night. There was only one desk staff who was busy on the phone when I came in so I had to check in later because I had an appointment. Had to leave my luggage for later. I did not like that I had to pay for parking in an open outdoor parking lot. Crazy cold AC in the hallways but good if you want to hang beef. Otherwise outstanding value. The thing missing in the room I felt was the fact that there wasn't a microwave oven thrre and only has a tiny fridge stocked fully with hotel's own alcoholic beverages and bottled water with no space left for guest's use of fridge. I would have liked to be able to chill my own favorite fresh fruits or desserts if there was any fridge space left but couldn't. 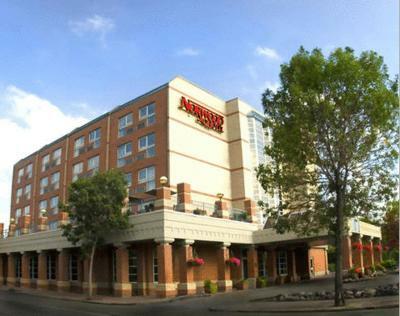 Maby plus points : Cleanliness super, very comfortable bed, good size room, the inhouse restaurant food is good and hotel location across the bridge over the Forks and separated from downtown by the Red River and yet it is a short distance to get to the city centre..
Could have been a few more TV channels, not much to choose from. Maybe even adding Turner Classic Movies would have been a bonus. We got a bill for parking at end of stay with no heads up it would cost $10 per night. Not cool. 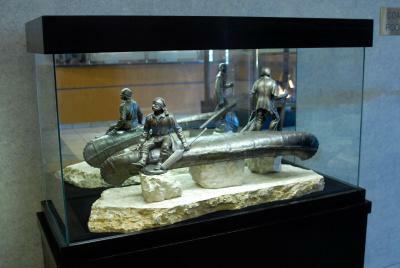 Location was within walking distance of the Forks and CMHR. I didn't need it but shampoo is a handy thing to have.